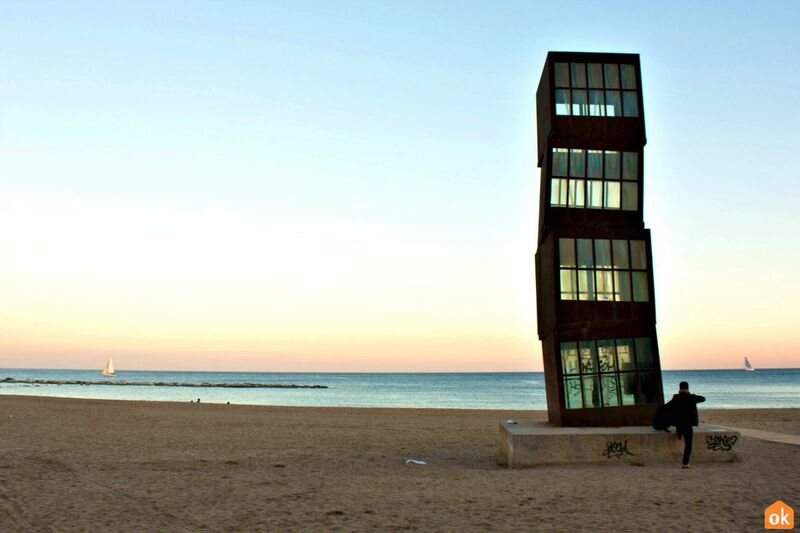 Barceloneta - A Beach or Museum? Walking Along the Beach has Never Been so Artistic. 1 A beach that's also a museum! A beach that's also a museum! Carrying on from me post last week about my stroll through Port Vell, I finally arrive at... the Beach! 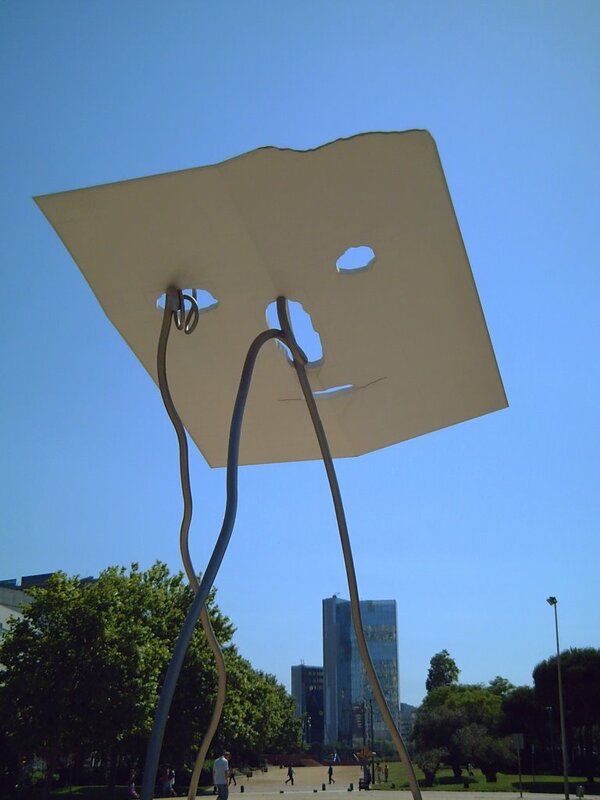 But that doesn't mean the art gallery has been left in the background... Not in the least... 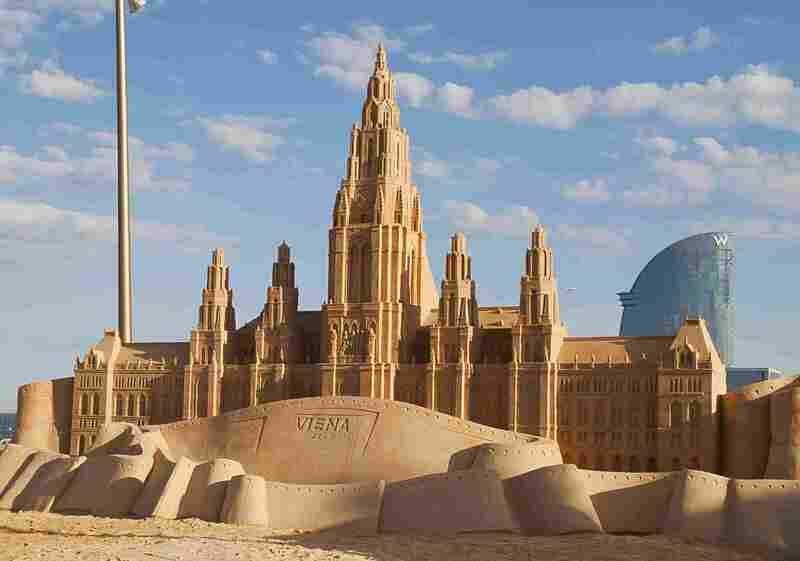 Even the seafront will surprised me with its amazing sand sculptures and more. Continuing the walk along the beach we dun into a sculpture called "Homenaje a la Natación" (Homage to swimming) by the artist Alfredo Lanz. 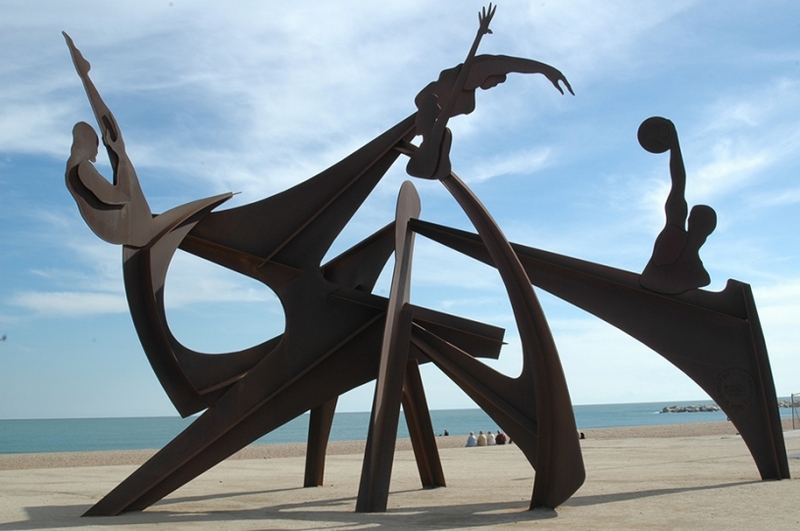 His bronze characters seem to be dancing, but in reality (and as the name suggests) they represent the distinct categories of swimming; diving, synchronized swimming, water-polo, and sprinting. 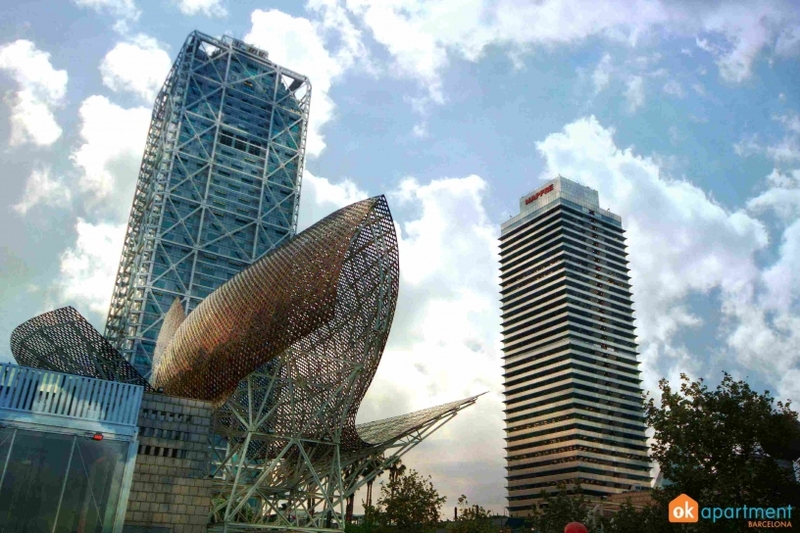 Though we're technically entering Vila Olimpica, the Peix d'Or (Golden Fish) by the highly acclaimed Canadian-born architect Frank Gehry can easily be spotted from Barceloneta and reaching it forms a natural part of the walk off of Barceloneta. It's tucked right between two of the highest buildings in Barcelona Torre Mapfre and Hotel Arts, so it should be rather simple able to see. Leaving the beach behind and crossing the street after the two towers, we run into a pretty and colourful sculpture by Robert Limos called"Marc". Why Marc? Because it's dedicated to his son. Sensitive, emotional, a bit of a lunatic and very curious: I'm an incurable and tireless dreamer!